In addition to regular jury payment, jurors who live over 80 miles (one-way) from the courthouse are entitled to a travel subsistence allowance to cover the cost of lodging, meals, and incidental expenses. The subsistence allowance is paid to jurors for the dates when lodging expenses are actually incurred. Two weeks prior to your report date, the court will mail detailed subsistence information to jurors who live more than 80 miles from the courthouse. This will include a blank Tax Exemption Certificate and instructions on how to complete the form. The Tax Exemption Certificate must be completed and presented to the hotel at check in. 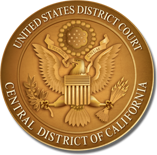 If you have been summoned for jury duty in the Central District, you live more than 80 miles from the courthouse, and you have not received the subsistence information and blank Tax Exemption Certificate one week before your reporting date, please contact the Jury Department at (213) 894-3644 between 2:30 p.m. – 4:30 p.m. Monday through Friday. October 1 to October 31: $246 maximum (up to $180 for lodging and $66 for meals and incidental expenses). November 1 to December 31: $227 maximum (up to $161 for lodging and $66 for meals and incidental expenses). January 1 to September 30: $246 maximum (up to $180 for lodging and $66 for meals and incidental expenses). Click here for hotel information for the Western Division. October 1 to April 30: $203.00 maximum (up to $137.00 for lodging and $66.00 for meals and incidental expenses). May 1 to September 30: $172.00 maximum (up to $106.00 for lodging and $66 for meals and incidental expenses). Click here for hotel information for the Eastern Division. When you return home, you are entitled to a miscellaneous travel expense fee of $66.00. Rooms are subject to availability. Make your own reservation and ask for the government rate. Do not make a reservation unless you have confirmed your report date. You will be responsible for any cancellation fees incurred. Come prepared to stay at least 4 days. If not selected as a juror, you will be excused from jury service, unless otherwise instructed. Check out of your room on the morning you report for jury service. Advise the hotel clerk that you are on Federal Jury Service and do not know if you will be selected to hear a case, then make arrangements to ensure that the room will be available if you are selected. Be prepared to pay the hotel bill with your own funds. You will receive a check approximately one week after your appearance. Hotel receipts are required. You will only receive a travel subsistence allowance for actual attendance at a grand jury session. Do not make a reservation unless you have confirmed your report date. You will be responsible for any cancellation fees incurred. Check out of your room on the morning you report for jury service.